Looking reem as ever, Laurens Pope and Goodger attended the Imagine Spa party in body con dresses and super high heels. 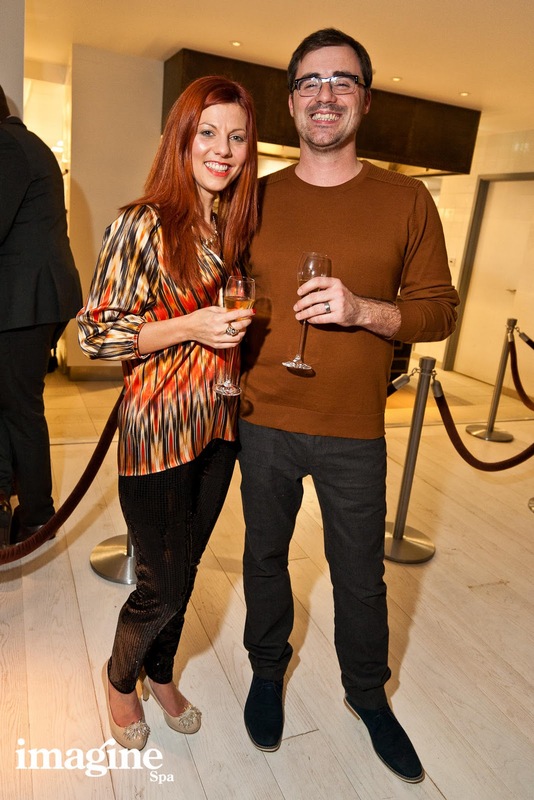 Now, you’ve seen the booze-fuelled shennanigans I got up to at the Imagine Spa launch party at The Hilton Terminal 5 Hotel on Friday night (11th November 2011), but how about having a peek at some professional photos of the celebs who rocked up to the event…. I ended up sat next to Made in Chelsea’s Funda Onal and her man in the Imagine Spa steam room the morning after, talking about saline drips and Cif cream cleanser. I confess, although she looked mighty familiar, I couldn’t remember why…and I call myself a Made in Chelsea fan. Doh! Josie already got my approval on the dress but you can actually see it in this pic (unlike my – by that stage – merry efforts). Josie is posing with Hayley Sparks of Gorgeous Star PR who looked rather gorgeous herself. Our host for the evening, Lizzie Cundy, was on the same page as Lauren Goodger when it came to choosing a colour for the party. Ooops. Wait a minute! These losers are not celabridees….Mr and Mrs Fashion Detective get in on the act (what a grin, sir). All images courtesy of Imagine Spa Thames Valley @ Hilton Terminal 5 Hotel. Anyone know where Lauren Goodger got her purple dress from?